Thank you for visiting us! Each week we'll add a story here to share with you why we do what we do & what donors in our community have accomplished for our neighbors in need. Early this year were blessed with a donation that allowed 311 to purchase the land that will be our future home! We are on a mission to raise $500,000 by August 1st, 2019. We are reaching out to our faithful donors and the community to offer you the opportunity to be a vital part of this mission and to partner with us in this endeavor. First, we covet your prayers for the success of this project. Next, we ask that you pray for our financial needs to be met. We need to raise $500,000 over the next 5 months to make this dream a reality and complete the facility in time to host our annual Christmas program. This year’s Midland County Angels project is projected to serve more than 2,000 students in Midland during the 2019 holiday season. Can we count on you to help us make this dream a reality? Any amount that you feel led to contribute will be so gratefully accepted. We do realize that in challenging financial times like these, not everyone will be able to make a donation. If you are unable to donate financially, we are in need of prayer to help us pull this challenging project together. Be assured that your prayers, volunteering services and good wishes are as valuable to us as your financial support. Your gift will help us reach this challenging goal & continue to serve children in need here in west Texas! For more information about our capital campaign, please contact our Capital Campaign Manager, Sommer Bledsoe at office@311ministries.org or our Founding Director, Stephanie Wilbanks at Stephanie@311ministries.org. Today as we continue #StoriesFromTheVillage, we’d like to share this letter we received from a thankful Dad whose children were recipients of our Christmas program. I’d like to share a little bit more about him because there are so many more wonderful things to add that aren't included in the letter below. Aside from raising, quite possibly, two of the most well-mannered little gentlemen I’ve ever met, he’s such a hard worker. Though he often works multiple jobs, he still finds time to give the gift of his time in volunteering with nonprofit organizations across Midland, including 311. If you’ve met him, you know that he has the biggest smile and is always willing to stop whatever he is doing to help anyone in need. He’s a Godly man, a warrior for Christ, and has done a fine job raising his boys the same way. He showed up to volunteer with us one afternoon without the boys & we immediately asked where our little friends were… the answer? On his way over to volunteer with us at 311, he dropped them off at another organization that the boys enjoy serving with. It made my heart so happy to know that these little gentlemen were finding their niche in the volunteering world and were giving back to their community, all on their own! For all nonprofits, volunteering is such a HUGE blessing. When we told this Dad that we were starting a new adventure & were raising funds to build a new facility to serve as 311’s home base, he started praying with us right then and there. Please join us in prayer as we walk this journey. Your gift of $75 will help build The Village and allow 311 to continue serving these sweet little gentlemen, along with thousands of other children in our local school system. Bring your kids to volunteer! Our family adopted our first 3:11 Christmas family 3 years ago! We had NO IDEA the impact this would make on our lives. “Our” first family (and I will call them “ours” because we shopped like they lived at our house) was a family of 3 MISD kiddos. We took a look at the VERY small request list sent to us for things they had asked for. Now, when I say small, I mean small…..our “oldest” girl, who was 5, asked for a pair of tennis shoes and an electric toothbrush with Dora on it like her friend at school has. They asked for shampoo and a new brush. My then, 3 year old daughter, went immediately to her bathroom and announced to us that she has 5 electric toothbrushes and wanted to share! No…….we didn’t share our used toothbrushes, but we did, after that moment, realize how VERY much we had and how VERY much we could give. That first Christmas ended and we decided…..we needed to do more of this greatness! We held collection drives at work to donate money for bikes, packed boxes at the warehouse, used our vehicles, trailers, trucks and co-workers/friends trucks to pick up and deliver Christmas to the schools in Midland! But more importantly, we involved our own family in our experience!! Now, we take large families of 7-9 kids that would otherwise be hard to adopt out! We divide and conquer with HUGE support from our parents, grandparents, siblings and very own daughter, nieces and nephews! The kids love shopping for clothes, shoes, toys and books for….let’s be honest….maybe even someone they are in class with today! The first time my husband and I took a trailer of boxes to the school for drop off………..EVERY SINGLE kid was excited to see what we brought, even though it wasn’t for them! They hugged us, carried things, took pictures of us, used their wagons to help tote things that were too big to carry. (I’m not going to call myself a celebrity…but I felt like one that day!) I would by lying to you if I said that Cody and I were not in TOTAL shock at the number of boxes we delivered to an elementary school 2 blocks from our house! MY HOUSE….MY NEIGHBORHOOD…they were no longer “kids we didn’t know”, they were “kids we ALL know” and don’t know their stories! Every volunteer, monetary resource and voluntold (usually my poor husband for heavy work and trailer backing…ha ha) person make it all happen! This ministry is bigger than Christmas………it’s about a prom dress, having uniforms and shoes for school, school supplies and haircuts! Just when you think your children are not watching how you live life, you are reminded that they are………. My kindergartener was asked at school to write something to finish this sentence (please forgive her sweet misspellings as she is still learning): If I found a pot of gold I would……”sher it with peepl that don’t have that much munee so they can by what they need.” WOW!!! When her teacher sent this to me, tears were flowing!!! Your kiddo may be the smartest one in the room or maybe they aren’t that good at reading, math or spelling. But, no matter what my sweet girl is good or not so great at, she knows that there are people around her that don’t have what she has. I know that taking by her on the “Midnight Target Shopping Extravaganza” for last minute Christmas families or shopping at Old Navy for school uniforms or even football shopping (which she still doesn’t get why the boys think is fun), she has learned that we buy dishes and pans for our mom that is struggling to find dishes to cook for 7 kids in. Or, that we unload and load the trailer with bikes, boxes and we do that even when we are tired and need a nap instead! She gets it……..Because WE got it! We don’t know everyone’s story, struggles or mountains but we do know that as long as God provides us with the ability to be the rope, we will continue to pull them up the side of the mountain until they can breathe at the peak again! We hope this letter finds you all well! We have all missed you, your sweet smiles and kind words. We are all doing ok, scattered all over the place. Most of us are all grown up now, some of us left to college. Some of us are working full-time. Some of us are moms and even two of us have joined the army. Even though we have all decided to do different things, we all stay in touch in one way or another. Most of us knew each other from school, but were never friends. We all became friends, lifelong friends, because of you. We all came together in a big building with a group of ladies that had no reason to care for us but did. We helped each other pick dresses, shoes and earrings, and when we went to prom, we all took pictures together knowing that we had shared that experience. Every year the girls from the previous year present a gift of appreciation. Every year it gets harder for us to decide what to do. We don’t have much money and some of us don’t live here anymore, but everyone wants to be able to help with the gift. This year we thought and thought. What were we going to do? When we were sitting together on our last day of school, our teacher told us that you would like anything even if it didn’t cost money, as long as it was meaningful. So, we started to think about things that were meaningful to us. When we brain stormed, we realized that it wasn’t things that were meaningful, but people and moments. Memories that people gave to us that didn’t cost anything meant more to us than anything. There are two things our teacher always says- “one person can change the world, even if it is just changing the world for one person” and “you can always do more.” So that is what we decided to do as our gift. All of us from last year and beyond decided to change the world for just one person, inspired by a few women who changed a little piece of our world. This would take a lot of time and a lot of effort, everyone would have to do their part. We would have to keep in contact, make arrangements and somebody would have to track what everybody was doing. 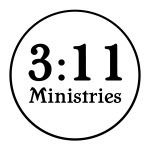 The goal was that together we would do 311 hour of community service wherever we lived in the name of 311 Ministries. We hoped that by doing these hours and giving to others that we might have a chance to change the world for even just one person. That is how we used the first quote for inspiration. A group message went out and replies came back from almost everyone, even girls in Germany and El Salvador responded. Everyone would be doing their part wherever they lived and reporting it to one of us to keep track of the hours at the end of this, and that is when we would give you this letter. With so many of us working on this project we were able to finish the hours by September. A few of us met together and decided to make you the collage and while we were sitting in our old class room, we thought back to the second quote- we could do more! Another message was sent and everybody mobilized, but this time the goal was 3,000 hours + 11 more. We thought that some people would say no or be too busy with their own lives, but everyone said yes! Again, we started working on our own to get these hours done. We told our teacher that we would not be able to hand over the gift until the hours were done even if that meant giving it to you a year or more later. Yesterday we received a letter from El Salvador, one of the girls had finished the last 20 hours serving at an orphanage for young girls. We completed our task. As we sit here now writing you this letter together it is still surreal to us. None of us ever thought we could accomplish such a thing but together we were able to do it just like together you are able to inspire people. A dress is just a dress to so many people, but to us a dress was a way for us to meet, become friends and change a little bit of someone else’s world. A*** will keep serving at the orphanage. C**** will keep working as a missionary. C**** will keep volunteering at elementary schools in Abilene. A***** will keep going to the homeless shelter. And we will always remember that God so loved the world that he helped a bunch of ordinary women do extraordinary things."